I have a bald head. I’m cool with my naked scalp. I’m not like the guys who do the sad charade of growing their hair really long on one side and combing it over my bald pate. I’m a baldy, I accept it, let’s move on, OK? 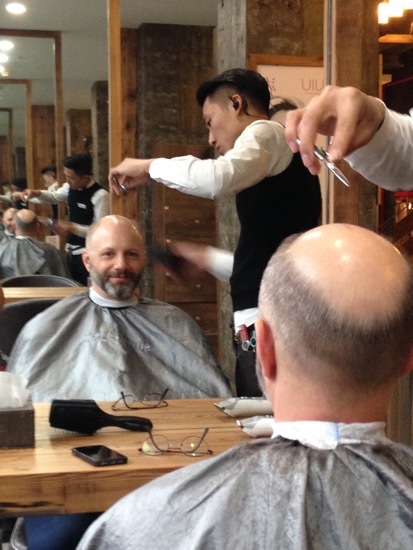 Every time I go for a haircut, I tell the barber that I just want a simple bald guy hair cut. Guys with my (non) hair situation don’t have a lot of options for hairstyles. 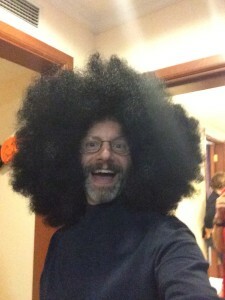 “Not ridiculous” is the general look that I’m going for. But here in China, I seem to have some problem getting the message through. With approximately 95% less hair than the average person, why the heck does it take me the same amount of time to get a haircut as people with full heads of hair? The guy that I have been going to lately might think that I’m in denial about my baldness, and so wants to play along with my non-self deception about my lack of hair. Is he pretending to cut my non-hair? Seriously, dude, there’s nothing up there. We don’t have to continue this illusion. 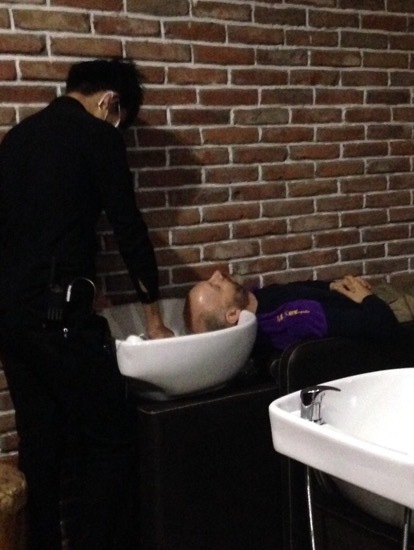 Even the hair-washing dudes at the place are in on this game. At home, it takes me approximately 7 seconds to wash my hair. Why does this fellow take 10+ minutes?! 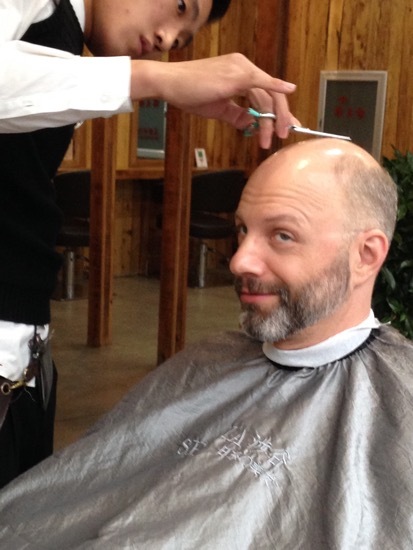 The haircut process usually takes me 15 minutes at home, but it takes almost an hour in China. Maybe I should go to those guys in the park who will cut your hair for 36¢. It would be cheaper, and less drama.